Dollar General Corp. (NYSE:DG) released its second quarter 2016 financial statements back in August, we reviewed the numbers and assigned a $65.00 price target on August 31st (http://www.streetwatchdog.com/why-has-dollar-general-lost-its-mojo) . A little over a month later, the stock nearly hit that target with a 52-week intra-day low of $66.50 on October 5th (see chart below). With the release of the company’s disappointing third quarter financial statements last week, we unfortunately see much more downside for Dollar General. Consequently, we are lowering our price target to $55.00. There are several reasons we are bearish on Dollar General. First and foremost, macro forces in the economy are changing the way shoppers shop. According to the Bureau of Labor Statistics, the US unemployment rate fell to a 9-year low of 4.6%, and earnings rose 2.5% year on year. The Federal Reserve sees the economy doing well enough to warrant a rate hike later this month. 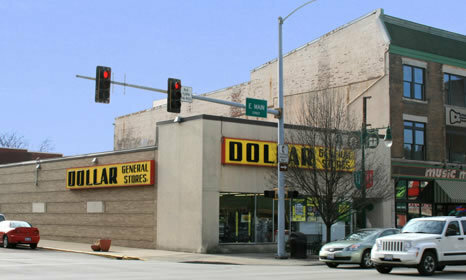 As the economy improves, the need to shop at dollar stores such as Dollar General, Dollar Tree (NASDAQ:DLTR), and Family Dollar wanes. By contrast, Wal-Mart (NYSE:WMT) is not as negatively impacted by an improving economy. Food deflation and the reduction of SNAP benefits (food stamps) affected the company more in the third quarter than in the prior quarter as can be seen by the third quarter decline in same store sales of 0.1%, the first quarterly sales decline since its 2009 IPO. We expect this trend to continue as President-Elect Donald Trump is likely to make further cuts in food stamp benefits, which are still at historic highs. What’s even worse, results of the company’s marketing and promotional activities in selected markets to drive traffic were mixed and did not meet expectations. Gross profit as a percentage of net sales was 29.8% this quarter, a decrease of 49 basis points from the same period last year. Selling, general and administrative expenses as a percentage of net sales were 22.5% this quarter versus 22.0% for the same period last year. What we have here is a case study of eroding sales and increasing costs. Rival Dollar Tree, which has a much smaller mix of groceries, said that sales for the fourth quarter should be better than expected. The company’s price war with Wal-Mart is another factor contributing to eroding margins. It is interesting to note that Dollar General's price reductions in selected markets did not have the desired effect of more foot traffic. Quarterly revenue growth has fizzled down to 5.0% this most recent quarter from a high of 9.9% in 2014-Q4. Through the end of the third quarter this year, the company has repurchased 8.2 million shares of its common stock at an average price of $83.24, clearly not a wise use of cash considering where the stock is currently trading. The current ratio at the end of this most recent quarter is 1.34 versus a more solid 1.77 at the end of the third quarter last year. Current liabilities have risen by nearly a billion dollars just this year alone, while current assets have only risen by half that amount. Despite all of this, the company still intends to continue on its path to opening 900 more stores this year and 1,000 next year. Time and time again, we have said that sometimes more is simply more (and not necessarily better). This is a prime example. Instead of improving their product mix, the company is pushing for more store openings, which are yielding diminishing returns and will eventually cannibalize each other’s sales to some degree. Given the headwinds facing Dollar General, we do not believe it should be trading at a premium to Wal-Mart, quite the opposite. It appears Wal-Mart should now be trading at a premium to Dollar General. In looking at the trailing PE ratios for the last 4 quarters for both companies, Wal-Mart is trading at roughly 15.4, and Dollar General is trading at 17.5, based on Friday’s closing prices. With this new norm that Dollar General is experiencing, a more appropriate PE ratio is 13, with a corresponding fair valuation of $55.00. Disclosure: We are short DG. We do not have a financial relationship with the company.